At The Nicola Florist we pride ourselves on providing you with the very best service and understand that every wedding is unique and individual as our clients. We know that your wedding day will be one of the most special and important days of your life and is all about creating an atmosphere and interpreting your dreams. 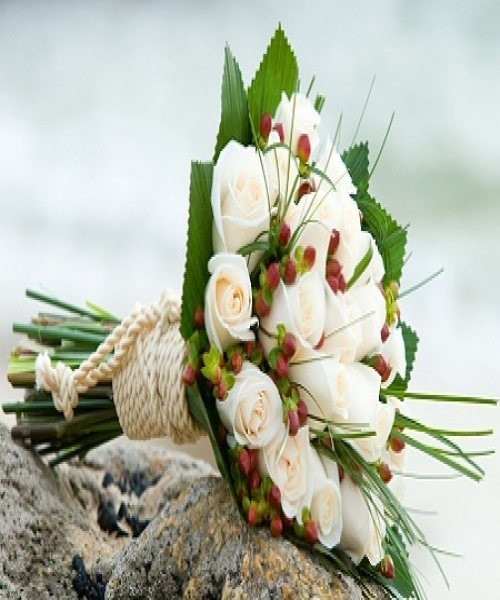 There are lots of different types of wedding bouquets and what you decide should be based on the style of your dress or suits and what type of flowers you like, whether it be Modern, Exotic, Classic, Vintage, Country Garden or just Simple and Elegant. We would start by offering a wedding consultation with our experienced wedding specialist, which can be arranged at a time that works for you.